More than property taxes or interest on a loan, energy costs are where most homeowners will spend their money each year. The average American family spends more than $2,000 on home energy each year. Go green and save some green. Energy mortgages are coming! Surprised? Think of all the electrical appliances; the heating, cooling, and ventilation (HVAC) system; the gadgets and gizmos we leave plugged into power strips day and night. It all adds up, and that’s before we even think about air leakage around windows and doors, attics and crawl spaces. But what if we had an idea of home energy costs? How would that change our home buying and selling decisions? Energy efficient mortgages have been around since the early 1990s. The US government’s FHA Insured Energy Efficient Mortgage Program launched in 1992 and was widely available by 1995. This program, and others like it, use an energy efficient home’s projected annual utility costs to allow homeowners to pay more for a mortgage. That means homeowners can afford a better home, or they can complete energy efficient home improvement projects that are included in the mortgage payment. the risk of mortgage default is one-third lower for energy-efficient, ENERGY STAR-rated homes… American households spend around $230 billion each year on energy, not including transportation, and the residential sector accounts for 20 percent of the total energy consumed in the United States. tld domain names . Energy efficiency in the residential sector has a potential to save $41 billion annually, according to research by McKinsey & Company. Energy efficient homes don’t just save homeowners money, they build stronger neighborhoods and communities. Energy efficient mortgages, or energy mortgages, have been getting a lot of attention lately, and not just from homeowners. The Sensible Accounting to Value Energy Act, or SAVE Act, is co-sponsored by Senators Michael Bennet and Johnny Isakson. The proposed bill would require federal mortgage underwriters to include annual home energy costs when calculating the value and affordability of any home, not only energy efficient homes. The SAVE Act will help all home buyers understand the total cost of home ownership, the PITI+E payment: Principal, Interest, Taxes, Insurance, and Energy. 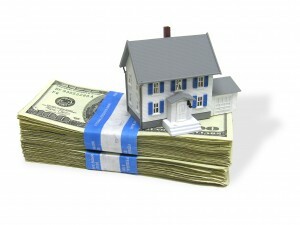 Home sellers will benefit from knowing their home’s energy consumption and cost as well. They can make energy efficient home improvements, replace inefficient appliances and HVAC equipment, or offer buyers a credit for that work. It’s an energy mortgage for all homes. Smart mortgages, mortgages that account for a home’s annual energy cost, are popular with homeowners. When buyers understand a home’s annual energy cost they can make a better, more informed decision about where to buy. Home sellers can use annual energy consumption and cost information to make their homes more attractive to buyers. Energy efficient homes sell faster, and for higher prices, than unimproved houses. No matter where you live, a greener home means more green in your wallet.